Lighting is so important to getting the atmosphere in your home just right; and that means choosing not only the right hue an strength of light, but choosing light pieces that in themselves add something remarkable to the space. 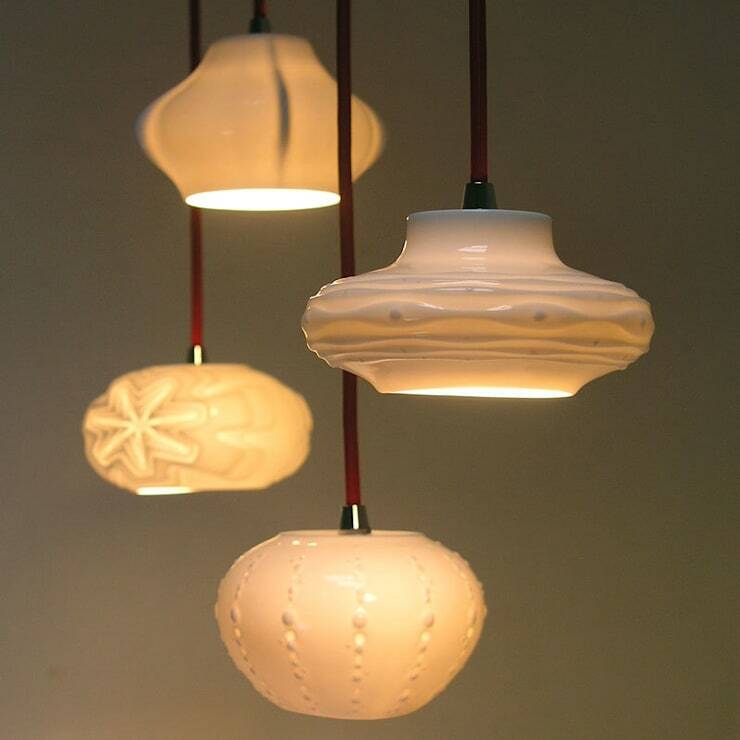 Low-hanging pendant lights are increasingly popular because they allow a beautiful lampshade design to be placed in a noticeable place even in spaces where there isn’t floor or surface room available for standing or table lamps. If you have pendant lampshades so beautiful that you really want to draw attention to them, placing them low over the kitchen or dining room table is a good idea. Take a look at this list for some examples of gorgeous, innovative pendant lamps that would work perfectly for this. The somehow brutally medieval design of these lampshades makes them appear almost like relics from a harder, darker time; and yet despite this potentially negative association, they manage to be really quite beautiful. That’s probably down to the fact the high standard of their craftsmanship, and the level of attention to detail, is very apparent in their forms. 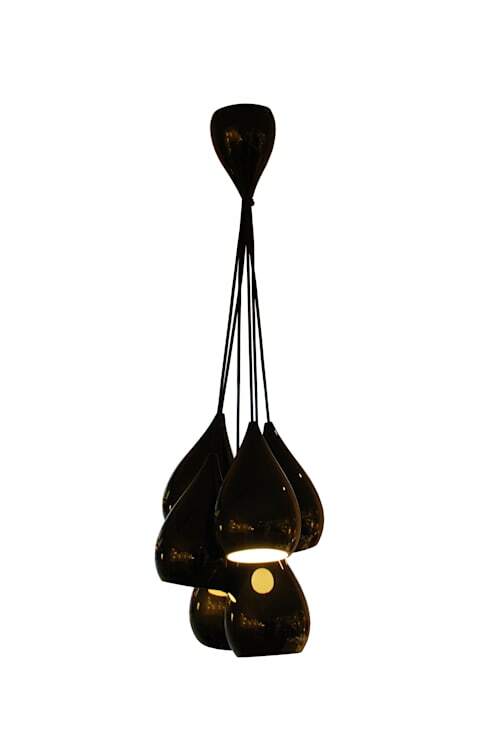 This delightful light accurately imitates the perfection of a flower, right down to the individual petals. That flowers could grow downwards from the ceiling is an idea that’s very pleasing in its surreal nature; and this is a very beautiful flower indeed. The light cast by this lamp would be warm and possibly even slightly tinged with orange, due to the colour of the petals, making it a good option for providing illumination to an area where mood lighting might often be required, such as over a dining room table. The beauty of these ocean-inspired lights lies in their simplicity, but also in their variety. Seen together, their differing forms clearly mimic the huge diversity of plant and animal life found on the seabed – from sea urchins to coral to starfish and jellyfish, these lamps seem to have a little bit of each. The theme is subtle enough to remain tasteful, though, and the neutral colour choice makes this arrangement of lamps a good match for almost any room or style of decor. 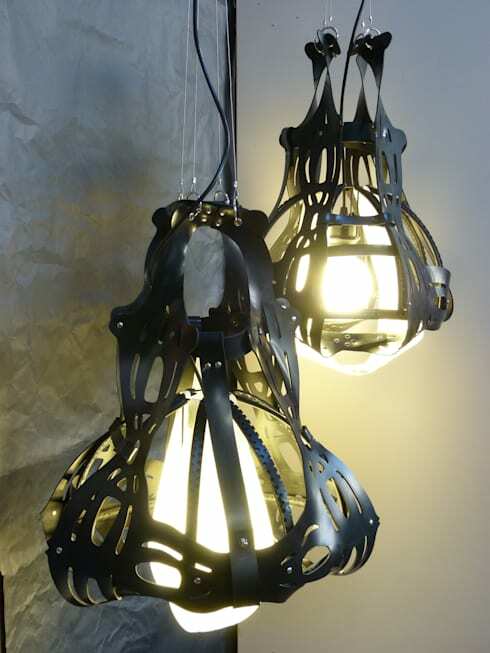 The unique form of this unusual hanging cluster of lamps brings many associations to mind. For example, this could be a group of bats snoozing together upside down as they await the night; or a bunch of grapes ripening on the vine. Whatever you see in this design, it’s certainly a very distinctive one. 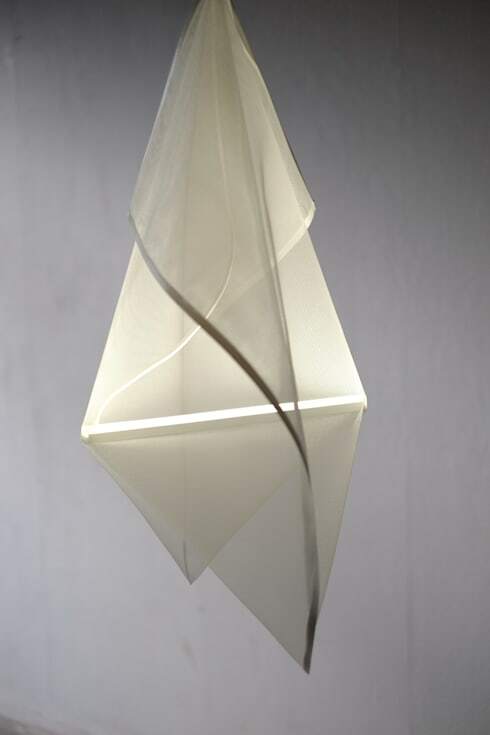 The delicate folds of this piece, in combination with its white colour, bear a resemblance to a paper plane or a fragile origami sculpture. The piece could also be inspired by an inverted flower, opening its petals for the first time in spring. From this angle the details of the folds can be better seen. 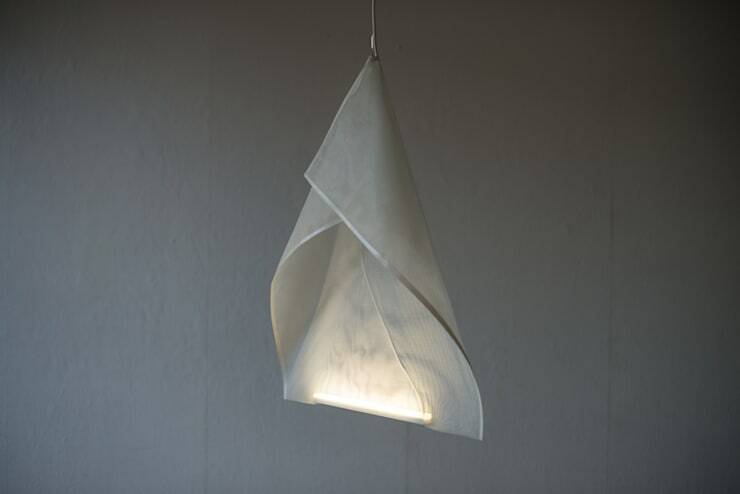 The slightly translucent nature of the material used allows the light coming from within to illuminate the twists and turns of the lampshade clearly as it shines through. 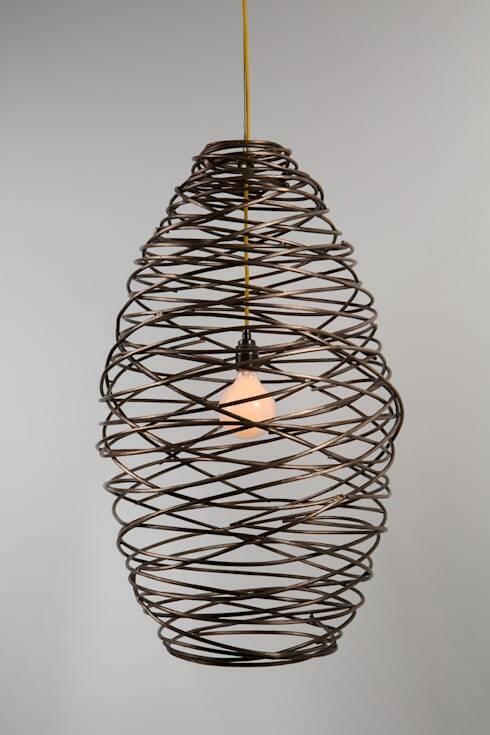 The frenzy of metalwork encasing the light bulb in this design makes it appear that light is emanating from the centre of a tornado or whirlpool. 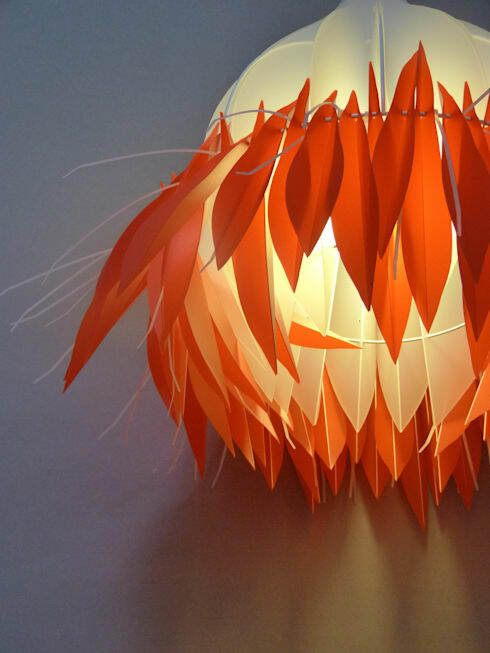 It’s an extremely contemporary lampshade, which is so unusual it’s sure to draw a lot of attention as well as many comments (admiring ones, of course) from your visitors. Although this lamp is certainly eye-catching, its lack of strong colours or any clear allegiances to a particular style of decor make it highly versatile. When it comes to lighting, do you prefer to make a strong statement or keep things subtle?